BE ASSURED, WE WILL TAKE CARE OF YOUR CAR NEEDS! Over 17 years of reliable and professional services. 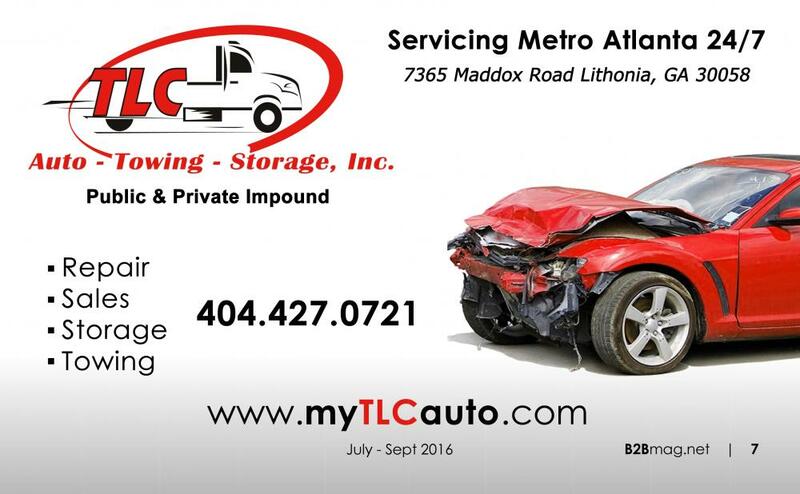 TLC has provided prompt and dependable roadside assistance, equipment hauling, snow removal and towing and storage services throughout Atlanta. Our perfect location ensures that we can quickly respond to your service needs. Our fleet of vehicles means we always have the right equipment for any towing job, from motorcycles to semis, with flatbed and wheel-lift options. Our storage facilities are secure and safe, and our office staff are friendly. Our clients have high expectations for their vehicles, and equally high expectations about the dealership professionals who serve them. TLC Auto Brokers provide the best in quality, reliability, value and customer satisfaction in both sales and service. Contact us today and experience TLC. We are a one stop shop. Financing is available for qualified clients. Do ask us and we will do our best to serve your needs. Abandoned Cars, Expired Tags, Flat Tires, and Illegal Park Vehicles. Residents have two or three business days to respond to notice depending on management deadlines.